We have a solution for all your needs, with Office Exploits that cover the whole spectrum of Microsoft files, as well as the most commonly used pdf files. Always up to date with the latest CVEs & vulnerabilities, providing a stable penetration testing experience. The most advanced pdf exploit you can find. There is only one power point exploit that won’t fail you. The most powerful word exploit on the market. Invest in a bulletproof excel exploit with constant updates. We aim to offer every cybersecurity enthusiast with a full suite of penetration testing tools that will fit any scenario, and having the right combination of & Crypter is one of the essentials. The most feature-complete remote administration tool. 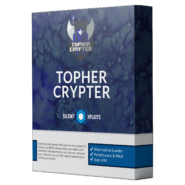 The most advanced C++ & .Net Crypter you can find. Coded from scratch C# Crypter to be the most efficient. With a range of hosting plans to fit any scenario, make your choice depending on your needs. Our systems employ Fast Flux technology for rapid IP swapping, and we allow spoofing so that you can work in a real environment, in order to protect your company. Fast flux bulletproof hosting that you can trust. Dedicated &VPS servers for Windows / Linux systems. Silent Exploits some features of our products . exploits are premium quality and they are coded exactly for your needs. You can look forward about our well clean and readable source code also which is commented so you can understand exactly the points of interests. We also have the best experienced developers where they are trained and certified finding vulnerabilities by Offensive Security. Auditing service consists of scanning the enterprise to discover devices present on the network. Once the audit is completed, services are bought online to monitor the behaviour of suspicious and unknown devices. Hack-Tools Audit strategy ensures that every device is accounted for and more importantly, are not susceptible to an attack. As part of the audit, we look at cyber-attack recovery processes and finish off with auditing of weak passwords. Hack-Tools unique monitoring system scans the internet to find any information disclosed about your organisation or technology such as usernames and passwords. This monitoring service also searches for vulnerabilities and code errors on your external nodes and websites that could be exploited. We also offer DMZ monitoring, which sits directly behind your firewalls to observe what traffic is entering and leaving your network. If you are looking to access your Enterprise anywhere, anytime, on any device as well as lower costs, this solution may be what you are looking for.Security solutions are a combination of tools that add an additional layer of security to your data. Our security solution consists of various tools that hunts for malicious traffic. Hack-Tools provide a range of Penetration tests from intense to black / white box testing, with or without exceptions. Hack-Tools tailors every test to suit each individual customer. Our tests are not automated and a qualified Penetration tester conducts the test(s). Our reports are comprehensive and contain enough detail to mitigate any issues discovered no matter what the CVE score. Malware Solutions encompasses more than just Antivirus and firewall management. We use tools to listen out for malware and respond to alerts efficiently in order to mitigate and prevent infections.You may be located across the globe and need access to information from another site. The architecture we design allows you to access corporate resources from multiple sites and branches, without compromising security. Hack-Tools supplies security and platform services and solutions to customers that are serious about their data. Hack-Tools tailors every product to each individual environment and customer to better suite requirements for their business mission. Hack-Tools always stays up to date with the latest vulnerabilities and exploits by harvesting directly from the web including the dark web to find security flaws that could affect our customers. We offer a full suite of penetration testing tools, ranging from the servers you are going to need for your tests, & Crypters to give you control, and powerful Office exploits so that you can work with any file. Remote Administration Tool – Definition. A stands for a remote administration tool that when it is installad on a computer allows a remote computer to take control of it. Hackers and malware sometimes install these types of software on a computer in order to take control of them remotely. In this case we sell the best products and they are all available for you. A is a type of surveillance software (considered to be either software or spyware) that has the capability to record every keystroke you make to a log file, usually encrypted. A recorder can record instant messages, e-mail, and any information you type at any time using your keyboard. An exploit (from the English verb to exploit, meaning “to use something to one’s own advantage”) is a piece of software, a chunk of data, or a sequence of commands that takes advantage of a bug or vulnerability to cause unintended or unanticipated behavior to occur on computer software, hardware, or something electronic (usually computerized). We provide software-based exploits. A is a number of Internet-connected devices, each of which is running one or more bots. can be used to perform distributed denial-of-service attack (DDoS attack), steal data, send spam, and allow the attacker access to the device and its connection. Windows remote desktop hosting (terminal server hosting) allows multiple users to access applications and files located on a centralized server. We provide you this feature and we have a lot of custom plans in order to qualify your needs. If you have further needs with your setup, or are missing crucial knowledge in how to execute any of the tools, don’t hesitate to get in touch. We will be glad to guide you through the products with a demo, and make sure you know all their powerful features. We follow Microsoft’s coding conventions and we deliver structured code. We guarantee that your source code will be readable and clean. Our programming team is highly experienced in various languages and can deliver quality software fast & reliably. Efficiency is guaranteed. We can fix your own code in case you have run into a dead-end. Name the problem and we will do our best to provide you with a solution. Malware Solutions encompasses more than just Antivirus and firewall management. We use tools to listen out for malware and respond to alerts efficiently in order to mitigate and prevent infections.You may be located across the globe and need access to information from another site. The architecture we design allows you to access corporate resources from multiple sites and branches, without compromising your security.